HomeBrickstuff Customer CornerWhat Lights Do I Use For [a specific] LEGO Set? 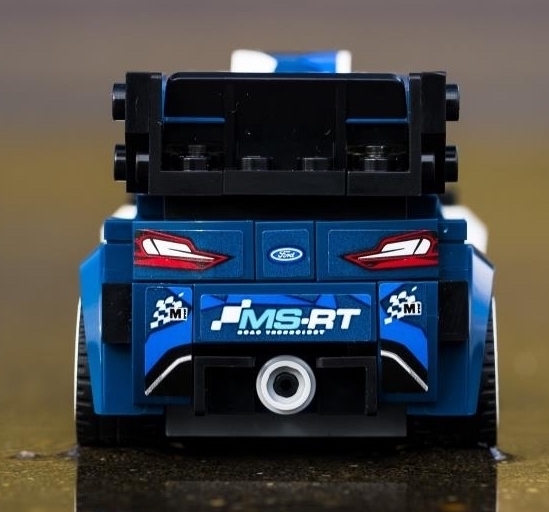 Just bought the new Speed Champions Ford rally car. The front (night stage) lights are begging to be lit 😃 . I would do all three, probably in cool white. I have a tendency to over wire. I agree with Jim-- wiring all three would look great. 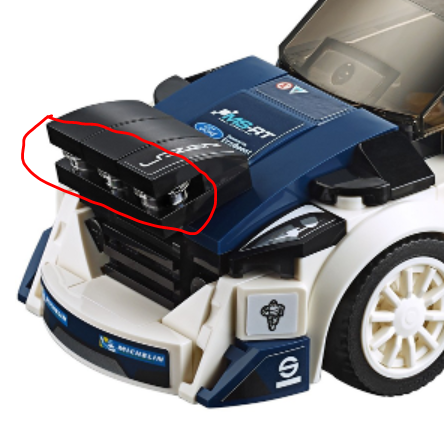 It kills me that LEGO is making such heavy use of stickers for front and rear lights in the Speed Champions series. It radically limits the ability to light many of the cars. Glad you say that, may look at supplied brick shape and see if I can find in red and clear. Also had a thought today, as it is an interchangeble bonnet for the lights. It would be cool to look into short wire run to magnetic switching lights 😁. Will email re campervan and beetle set up the same as your YouTube video you did. Well the bricks used for lights transfers don't come in trans or trans red! A wait to modify job maybe? james may Which bricks are you looking at? Rob Klingberg front headlights are 6214812and 811. Rear is 6094143. 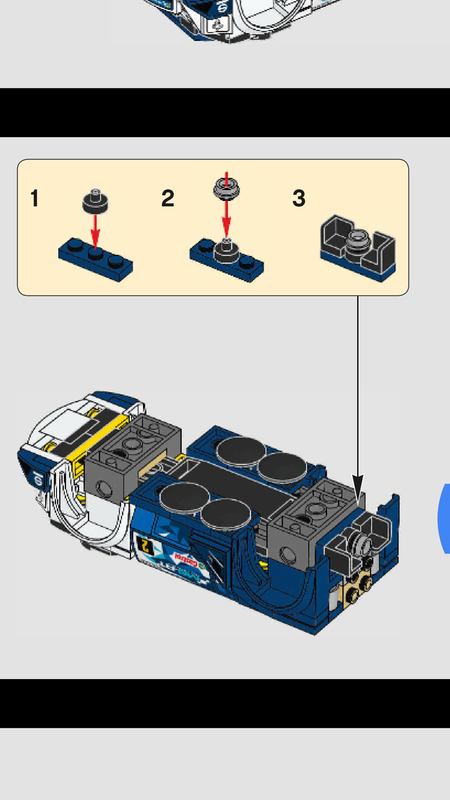 Found Brickset website, seems like a good site for parts hunting. Those are available in multiple colors, but I think you might be referring to the tail lights? Rob Klingberg hi guys I was looking at the tail lights and the bricks either side of the highlighted area in your picture. Note the decals looking like lights to the right on a black curved brick. and no trans-* version exists :( Not sure how replacing the 3 parts with 2 cheese bricks and a Tile 1x3 would look. It should work though. Jim Pirzyk Good idea Jim. Darn all those stickers! james may do you think Jim's replacements would work? It should do, I think it is a viable route. Will try some options out, then look at purchasing some starter sets. How is that 1x1 round attached? Is the hole empty? 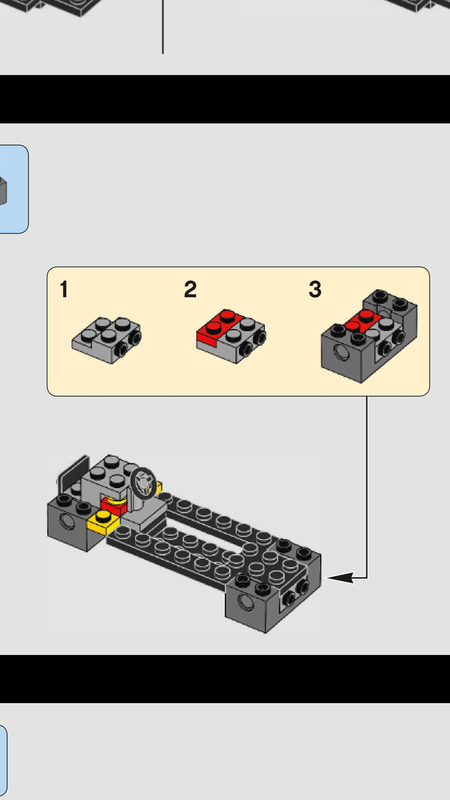 Then you could put https://www.bricklink.com/v2/catalog/catalogitem.page?P=64647#T=C&C=18 in the hole. Maybe interesting getting the LED on the other side of the 1x1 round. If the hole is filled then adding a second 1x1 round could be used but the LED is that much harder. Jim Pirzyk taken from the instructions the main worry is the pin into grey 1x1 round. I was thinking of red led on random(?) Strobe type effect.